Below are OET sample nursing case notes of a sample referral letter to a doctor. It’s an excellent scenario where writing sub-test case notes selection is tricky and identification of diagnosis/chief complaint requires careful reading. Also, notice how, in the OET sample letter, the nurse has covered only the relevant OET case notes in her answers while summarising as much as possible. 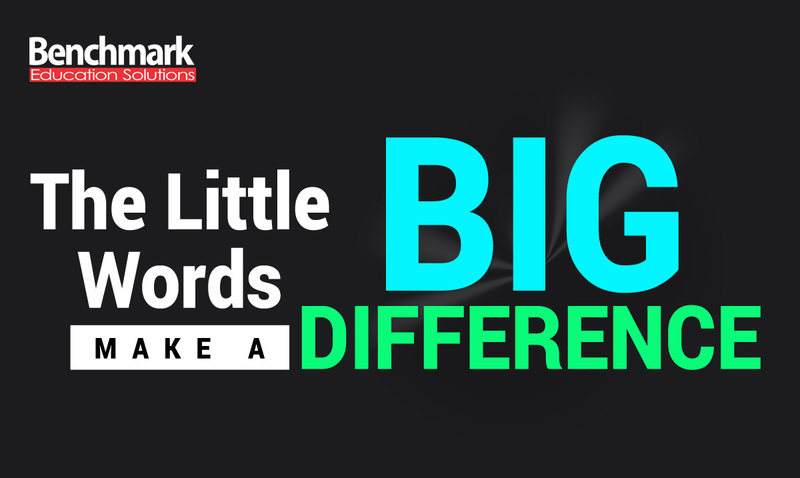 Use of conjunctions and transitions is also quite effective throughout. Also, the nursing sample OET referral letter scores high points on ability to write information in brief and covering more information per sentence. Length of this referral letter is also within 180-200 words range. The nurse here has taken good care of articles, capitalisation (of medication), tenses and word choice. Above all, paragraphing in the OET referral letter is logical and there is good coherence throughout. 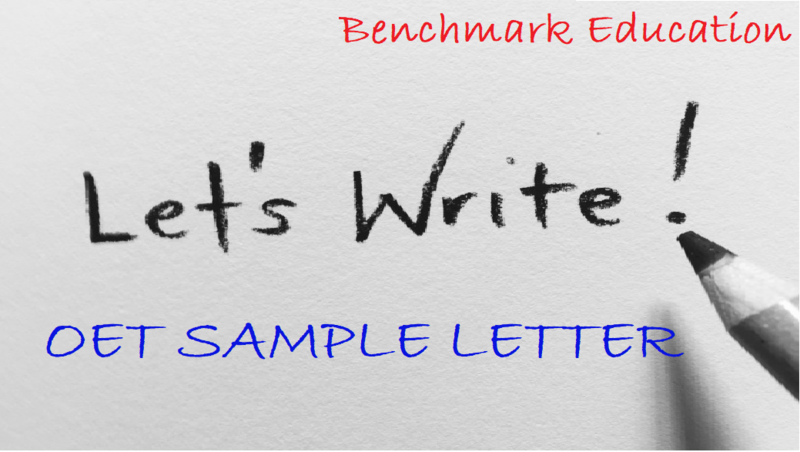 For writing sub-test, our teachers at Benchmark Education can help you write such OET letter samples for nursing, medicine, physiotherapy, pharmacy etc. 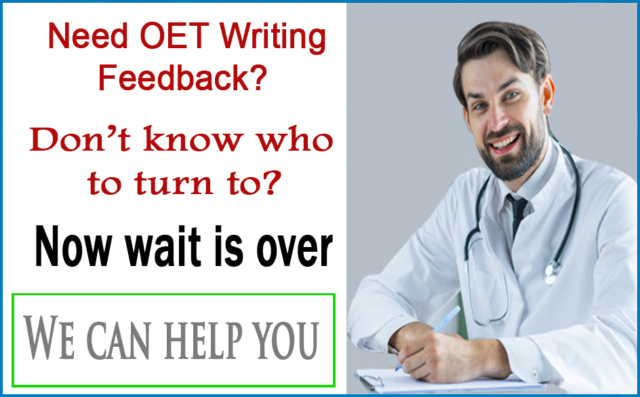 All you have to do is join our OET Writing Correction service and we will correct all your mistakes in the referral/discharge letters and give you the most accurate tips for writing sub-test. This way you can find the most accurate answers for your OET letter. Julia presented to clinic requesting a Pap test. Pap test suggested by Mother. Julia concerned about weight gain of 10kg over last 12 months and wants to know about other methods of contraception. Patient to return in 3-4 days for chlamydia results. Risks of smoking and benefits of quitting discussed with patient. Write a referral letter to the Dr Silver Bullet, Medical Practitioner at the Prospect Medical Centre 22 Prospect Road, Prospect 5086 requesting review of your patient to discuss contraceptive options and further testing for sexually transmitted infections and blood borne viruses. Two most important items in introduction of any OET referral letter are chief complaint and purpose. The reader (Dr Silver Bullet) of your letter would be more interested in finding out what the main issue is and what is expected of her. This can be found in Diagnosis/assessment. Now, if any OET nurse thinks that weight loss or pap test is the main issue, then she hasn’t understood the scenario well. If you look closely, you will find that the patient was found to have Chlamydia Trachomatis possibly due to which she was referred to the above doctor. Hence, writing chlamydia trachomatis in the introduction of your OET referral letter leads to more accurate introduction. Add chief complaint: who was diagnosed with chlamydia trachomatis. The next step is writing the purpose. It is always better to give purpose in an overview form rather than writing all tasks to be performed by the reader. Here the purpose of OET letter can be found in the OET Writing Task (to discuss contraceptive options and further testing for sexually transmitted infections and blood borne viruses). So, the overview of this purpose would be – advice and management. Purpose: She requires your advice and management. Hence writing this would make more sense:The patient’s medical history is unremarkable. You can combine the above in one sentence: She is a regular smoker (15 cigarettes/day) and drinks moderately on weekends. She has gained 10kg over the past 12 months and currently weighs 75kg. The patient’s medical history is unremarkable, but she has gained 10kg over the last 12 months. Apart from that, she is a regular smoker (15 cigarettes/day) and drinks moderately on weekends. Ms Roberts recently ended a monogamous relationship of 10 months and now she has a new partner of 2 months. How about combining information about contraception together? She has been using oral contraceptive pills since last year, and she does not use condoms. Her last sexual contact was 14 days ago. Ms Roberts recently ended a monogamous relationship of 10 months, and now she has a new partner of 2 months. Besides, she has been using oral contraceptive pills since last year, and she does not use condoms. Her last sexual contact was 14 days ago. You need not worry about the dates and write entire nursing management in one paragraph. An easy way to do so is to find out common verbs. • Risks of smoking and benefits of quitting discussed with patient. You can now use a conjunction (and) to combine the above two sentences. Risks of smoking, benefits of quitting, partner risk and safer sexual practice were discussed, and she was referred to Quitline and a Women’s Health nutritionist. A cervical screening information sheet was provided/given. Now, let us use conjunction (and) and write the above two sentences into one. A pelvic exam and PCR were done, and a cervical screening information sheet was provided/given. She was prescribed Azithromycin 1 gram and advised to avoid sexual contacts for 7 days after the treatment. Risks of smoking, benefits of quitting, partner risk and safer sexual practice were discussed, and she was referred to Quitline and a Women’s Health nutritionist. Also, a pelvic exam and PCR were done, and a cervical screening information sheet was provided. As well as this, She was prescribed Azithromycin 1 gram and advised to avoid sexual contacts for 7 days after the treatment. • requesting review of your patient to discuss contraceptive options and further testing for sexually transmitted infections and blood borne viruses. It would be greatly appreciated if you could review her and provide contraceptive options and further tests for sexually transmitted infection and blood borne viruses. For any queries, please do not hesitate to contact me. I am writing to refer Ms Roberts, a 19-year-old single lady who was diagnosed with chlamydia trachomatis. She requires further advice and management. Ms Roberts recently ended a monogamous relationship of 10 months and now she has a new partner of 2 months. Besides, she has been using oral contraceptive pills since last year and she does not use condoms. Her last sexual contact was 14 days ago. Risks of smoking, benefits of quitting, partner risk and safer sexual practice were discussed, and she was referred to Quitline and a Women’s Health nutritionist. Also, a pelvic exam and PCR were done and a cervical screening information sheet was provided. She was prescribed Azithromycin 1 gram and advised to avoid sexual contacts for 7 days after the treatment. Hope you like the above OET nursing letter sample. Visit other posts for more such samples and relevant answers to your doubts in the writing sub-test. I need OET Materials. Can you please help me? Hi ,your class is very effective.so kindly give me the study material. Hello, could you please send me those material too? please give me some study material. Is it ok to use the word “lady” for an unmarried female instead if “woman”? Azithromycin 1 gram seems to be a one time dosage, not to be repeated. It has already been administered. So wouldn’t it be better to write “Patient has been advised to avoid sexual contact for the next seven days” rather than “advised not to have sexual contact for seven days after treatment”? Hi Paul, First of all, it is always “the patient”. With respect to the tense, past simple is required rather than present perfect. Please read the sample letter after which you can find at the bottom of the webpage. The sentence reads like this: She was prescribed Azithromycin 1 gram and advised to avoid sexual contacts for 7 days after the treatment. With respect to administration of the medicine – are you sure the medicine was given in the clinic by the nurse? Hi ,thankyou for wonderful teaching how many paragraphs should referal letter have ? Thank you so much to all the benchmark teams for uploading samples with proper explanation.this site is really helping out lots of OET aspirants like me who does not have an option to study from a coaching class. Hope you would post more answers like this. Thank you for your encouragement. Yes, will continue posting more such topics. I have a doubt regarding this answer . Is it necessary to write patients medical history because in the writing task it is mentioned as requesting review of ”your patient” to discuss contraceptive options and further testing for sexually transmitted infections and blood borne viruses. Yes, medical history is important in order for the doctor to give accurate advice. exellent class I ever seen…Thank you..